I’m an Associate Professor of Biostatistics in the Biostatistics Research Group at the University of Leicester. Since August 2014, I’ve been a Section Editor of the Journal of Statistical Software, and since January 2018, I am an Associate Editor of the Stata Journal. My main research interests include survival analysis, multilevel and mixed effects models, and statistical software development. I lead a programme of research developing methodology for the analysis of complex survival data, motivated by applications to electronic health records. After completing my PhD on complex survival and joint longitudinal-survival models, which can be downloaded here, I did a post-doc at the Department of Medical Epidemiology and Biostatistics, Karolinska Institutet in Stockholm, before returning to Leicester in March 2016 to take up a lectureship. This website contains a collection of my work, including publications, software and teaching material. I hope you find it useful. A list of all my publications can be found here. merlin can do a lot of things. From simple stuff, like fitting a linear regression or a Weibull survival model, to a three-level logistic mixed effects model, or a multivariate joint model of multiple longitudinal outcomes (of different types) and a recurrent event and survival with non-linear effects…the list is rather endless. merlin can do things I haven’t even thought of yet. I’ll take a single dataset, and attempt to show you the full range of capabilities of merlin, and discuss some future directions for the implementation in Stata. Multi-state models are increasingly being used to model complex disease profiles. 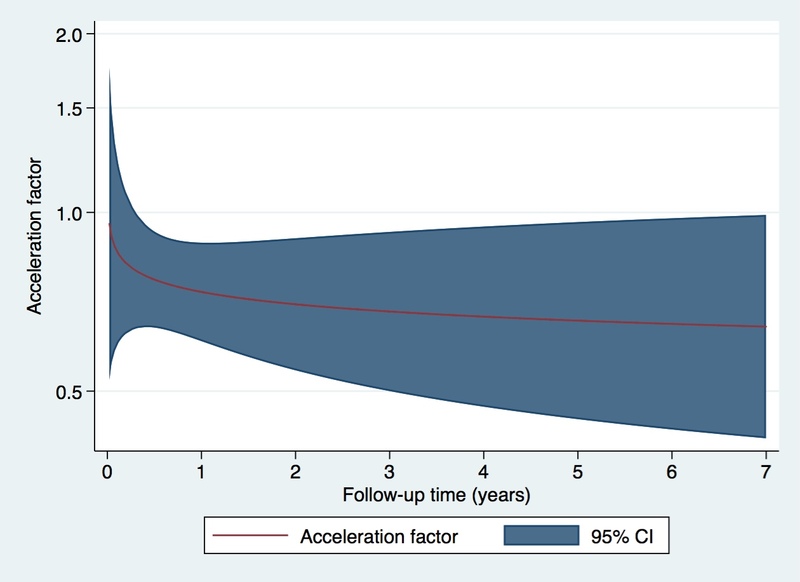 By modelling transitions between disease states, accounting for competing events at each transition, we can gain a much richer understanding of patient trajectories and how risk factors impact over the entire disease pathway. In this article we concentrate on parametric multi-state models, both Markov and semi-Markov, and develop a flexible framework where each transition can be specified by a variety of parametric models including exponential, Weibull, Gompertz, Royston-Parmar proportional hazards models or log-logistic, log-normal, generalised gamma accelerated failure time models, possibly sharing parameters across transitions. We also extend the framework to allow time-dependent effects. 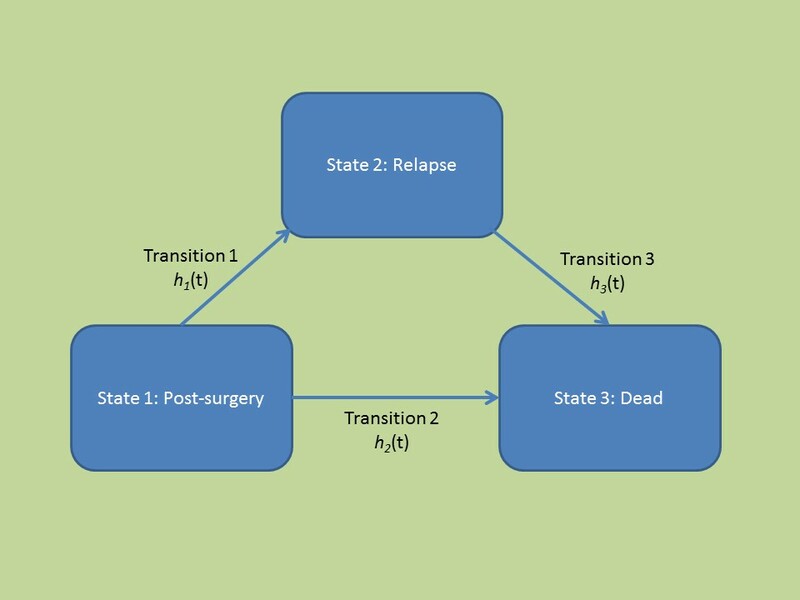 We then use an efficient and generalisable simulation method to calculate transition probabilities from any fitted multi-state model, and show how it facilitates the simple calculation of clinically useful measures, such as expected length of stay in each state, and differences and ratios of proportion within each state as a function of time, for specific covariate patterns. We illustrate our methods using a dataset of patients with primary breast cancer. User friendly Stata software is provided. Each package can be installed by typing ssc install cmdname within Stata. Having said that, I’m starting to move things over to git repositories, so keep an eye on the package pages for installation instructions. My core teaching is on the MSc Medical Statistics course at the University of Leicester. Dr Emma Martin, Post-doctoral Research Associate in Biostatistics, University of Leicester. Emma is funded by my MRC New Investigator Research Grant to work on a variety of projects in multi-state survival models and joint models. Micki Hill, Research Assistant in Biostatistics, University of Leicester. I co-supervise Micki who is funded by the charity Duchenne UK, to work on Project HERCULES - a multi-disciplinary collaborative project, where she’ll be working on multi-state survival models. Jonathan Broomfield, NIHR Methods Fellow, University of Leicester. Alessandro has been working on frailty survival models and a RShiny app for use in summarising simulation studies. His main project centres on informative observations in joint modelling of longitudinal and survival data. More details on his PhD can be found here. Nuzhat Ashra, University of Leicester (25th September 2017 - Present). Nuzhat is funded by an MRC IMPACT studentship and SPD Development Company, to work on joint modelling of biomarkers to predict miscarriage. She will also be working on some extensions to the stjm command in Stata, including dynamic predictions. Elinor Curnow, University of Bristol Ellie has been working on methods for imputing survival times from interval censored data. She’s studying part time, and I joined her supervisory team in November 2018. Sam’s been working on a variety of projects, but a core project has been development of an R package to fit an extensive array of Bayesian joint models using Stan. More details on his PhD can be found here.